Whilst celebrating the launch of its brand new platform, CEDA has brought onboard two famous chefs, John Campbell and Chris Galvin, to talk in a series of videos about the challenges that arise when running a professional kitchen. Chris Galvin and his brother Jeff are both known for pushing the boundaries when it comes to restaurants and pub applications. They both have decided to field questions from noted academic David Foskett on the overall design of a good professional kitchen as well as what the future might possibly hold for commercial kitchen design. The brothers insist that the success of a restaurant rests as much on successful kitchen design as it does on the food that they serve. To that end, they focus primarily on professional kitchen design that serves both the aesthetic and practical needs of the chefs that they serve. Having been in the industry for some time, they understand these needs on a personal level. It's something that colours their experience as professional kitchen designers. 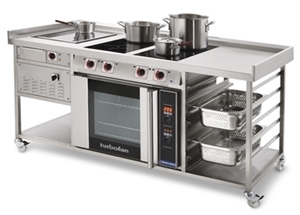 As far as learning the system goes, there is now a system put in place that helps in the application of professional kitchen--the CEDA E-learning platform. This platform is offered completely free to all members and their staff for a limited time offer. The CEDA E-learning platform is noted for its ability to hone in on areas of sales that wouldn't have been covered previously. In particular, the programme has been able to help those in the business at overcoming objections that might crop up in the sales process as well as selling to various personality types in order to maximize revenue overall. What CEDA does is give those in the restaurant business an extra bit of information that they can use to take their business where it wasn't able to go before. When you also take into account that this is an e-learning module, you see that this is a very convenient alternative to the standard method of running a kitchen. There are modules for account management, customer service, and sales that all help to get just about any kitchen to increase sales and maximize profits. Design engineers are especially helped by the safety and health modules, as they can then use the information they've learned to help them when they transition to an on-site location. Those who work at CEDA have been especially lauded for their tireless efforts at answering queries and solving any problems that their customers might have. It's this extra level of customer service that can truly make the difference in a professional kitchen application. It's by having top chefs field questions covering all aspects of how to successfully design a kitchen that CEDA makes it easier for their customers to do the same in as simple and convenient a way as possible. It's obviously possible to learn all of the information contained in these modules in person, but it isn't very feasible to have these top chefs or even their surrogates to visit hundreds or even thousands of different kitchens, providing this information. It's much more practical for them to utilize and take advantage of these video resources that now exist. In order to capitalize on the success that they've already had, CEDA is planning to expand the reach of its E-learning programme in order to reach more restaurateurs across the board and bring them on board so that all parties can benefit. CEDA expects to help those who have questions about all aspects of food service, kitchen design, and training and maintenance. To that end, CEDA will implement a five-year plan that will alleviate some of the concerns that restaurant owners have when it comes to their success and longevity. Members will have the added benefit of having access to an entire suite of technical and administrative documents, plus the association, its members, and other associates will benefit from the added benefits of this programme. This programme was a massive success in both 2015 and 2016, so CEDA is looking to expand their reach and cover new topics when it comes to E-learning in 2017. This will involve wider accessibility, new content, and a new platform that will keep the programme up to date in regards to the needs of the budding restaurateur. With the added benefit of having top chefs onboard, CEDA is positioning itself as a definitive source of useful and actionable information that all restaurants in the UK and abroad can take advantage of. Some of the questions that are answered by this program have to do with the basic principles of good design, getting more value from your kitchen design, and what the future might actually hold when it comes to commercial design. It might be a bit helpful for budding restaurateurs to understand who CEDA is and the reasons why what they do is important. 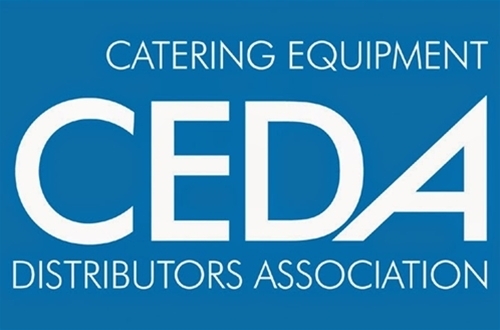 CEDA is the premier trade association that represents the most powerful catering equipment distributors across the UK. 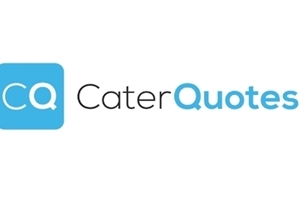 They have nearly 100 members who offer both national and local help to every type of catering operation. When it comes to what they do, CEDA can help with a single item of equipment that you might need or even a full project management solution. 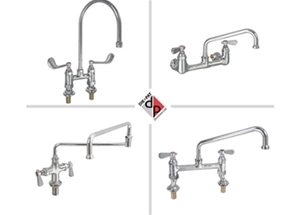 CEDA stands for Catering Equipment Distributors Association. They offer design, project-management, and supply solutions, along with many other things as well. All of these things will allow you to get more money, peace of mind, and service that is truly outstanding. While this list isn't exhaustive, it should give you an idea as to what CEDA is and how they can help your particular restaurant or other culinary operation. Starting with proper kitchen design and going from there, CEDA and their new E-learning operation on kitchen design have positioned themselves aqs the go-to leader in the restaurant business right here in the UK. It will be particularly interesting to see how they further advance this concept going into the future as we pass into 2017.